Amazing how many sexual inappropriate scandals are coming out of the woodwork. That lying lying he means it list got me. ROFLMAO! I hadn't seen #45's tweets. That guy really is the poorest excuse for a human being we could have elected. 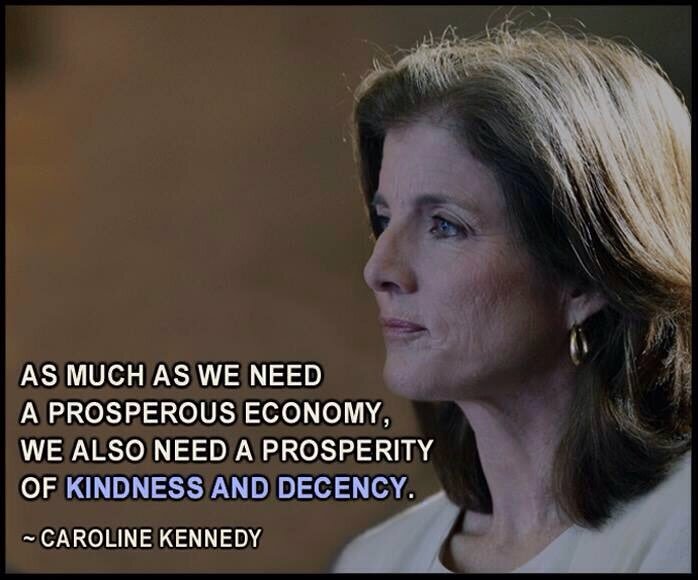 I love that Caroline Kennedy is thinking of running. Maybe things are starting to turn around. Off his rocker and rest of Republicans in Congress are just singing lullabies to him as though nothing is wrong. Kindness and decency sounds great about now! Amazing. Strength from seeing others come forward….is trending and giving strength to others. Sad to see some of the names involved, but I stand with the victims. sad but true…yet yeah, so crazy it is a bit humorous. that's the worst part. They are so power (and money) hungry that they have relinquished their very souls to support status quo, no matter how bad/insane status quo is. Such a novel pair of concepts, huh? Fingers crossed! Kindness, decency and honesty — all in short supply right now. I am hoping this is the low point before a great ascension. What a novel concept–kindness and decency. Oh with a little luck and a lot of votes. Discussing foreign policy–or any other governmental policy–through the use of Tweets demonstrates a total lack of understanding of the world and how to deal with official business. Yes we sure need some class and integrity. I'm somewhat depressed this evening as in my lovely neighborhood almost all the people I know are Trump supporters. This is a 70+ crowd. They are from all over the country, as I'm in Fla and they come from all over. I just don't get it. Aside from this, these are decent intelligent people. Thankfully I do have two friends who are not like this. But I so often feel in the minority…on the outside. The only correlation I see here is the Trump supporters are all religious church going folks…just an observation only. i'm in the minority where I live as a NON-trump supporter too… like mary above. what amazes me is… are they not HEARING or reading the same stuff the rest of us are about that man? what does it take? !!! It's from the supposed “family values” party. no one I work with talks politics at all, thankfully. Last I knew, my oldest still supported the Dotard. We just try to not discuss. It's hard, for sure. That said, I'm going to discuss religion and it's supposed implication….here. In my next post.